Maybe you didn't catch our Facebook live promo for this week's Mi Rewards perk. If you're a registered Mi Rewards member, we've got something to make January a little less chilly. Until Wednesday 30th January you'll be able to warm yourself up with a free tea or coffee at Brew and Chew. Brew and Chew are a dog-friendly cafe right in the heart of Perth. 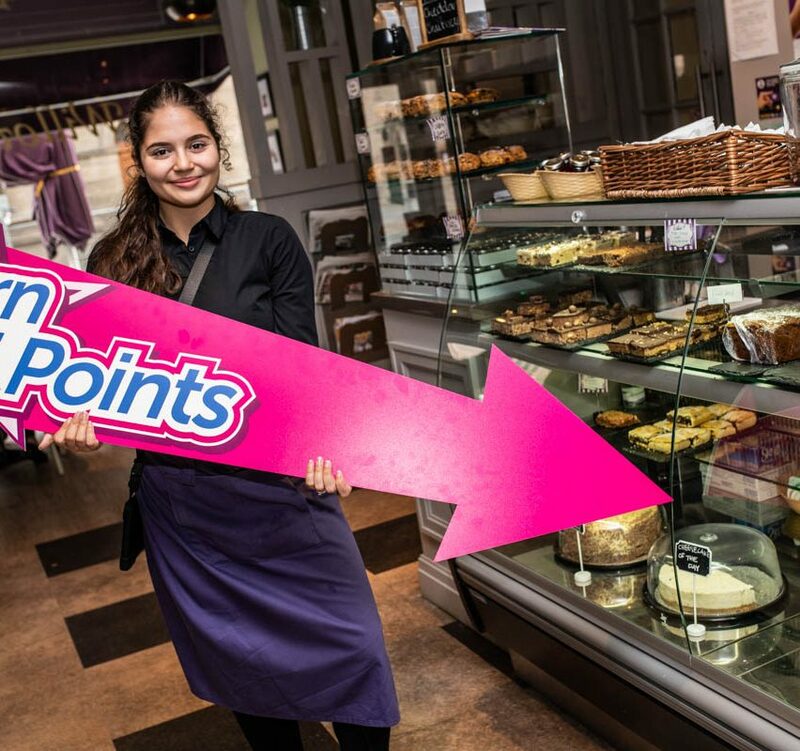 Their menu includes a lovely selection of cakes and other treats (including a pretty hearty breakfast), you can get some ideas about what to have alongside your free coffee by looking at their image gallery over on Facebook. Where do I go to get my free Tea or Coffee? 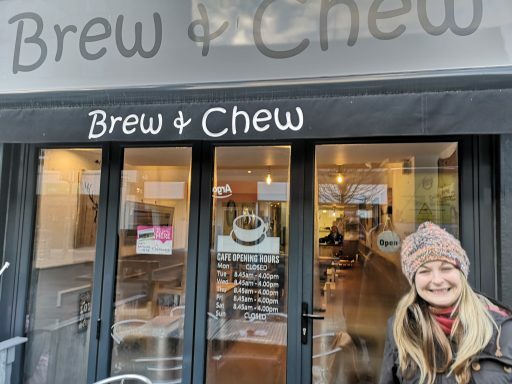 Maybe you haven't visited Brew and Chew before and you're not sure where they are? 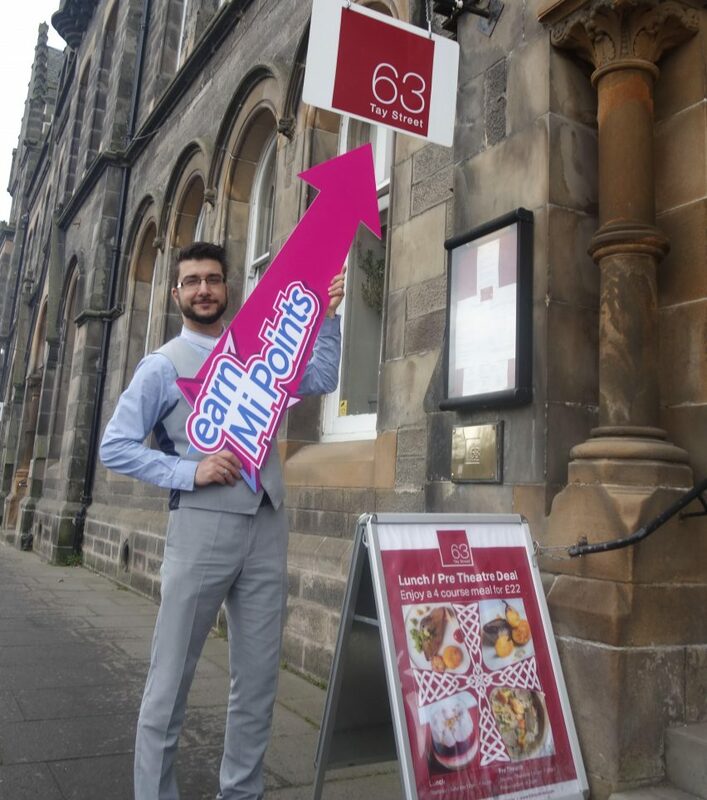 You can find them at 55-57 High St (you can click here for the Google maps link https://maps.app.goo.gl/Tk2SY). It's just beside the Tourist Information office at the end of the High Street. Don't forget that this offer is only open to Mi Rewards members. Fully registered members can check their e-mail to find their offer e-mail. 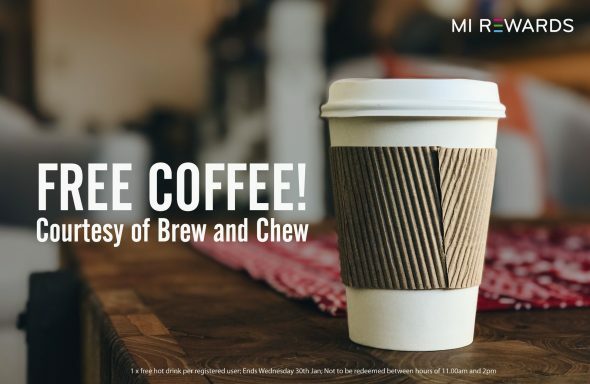 Your Mi Rewards membership entitles to one free tea/coffee only. How long is this offer running? Brew and Chew have kindly given patrons a good chance to enjoy their free tea or coffee offer by running it until the 30th January. Free teas and coffees CAN'T be redeemed between 11am - 2pm. It's a breakfast/late afternoon freebie. Both are times of day that most of us need a wee pick-me-up anyway, so that's not a bad thing! Brew and Chew's opening hours are from 8:45am till 16:00pm Tuesday to Saturday (they're closed Sundays and Mondays). I'm not a Mi Rewards Member, how do I get offers like this? 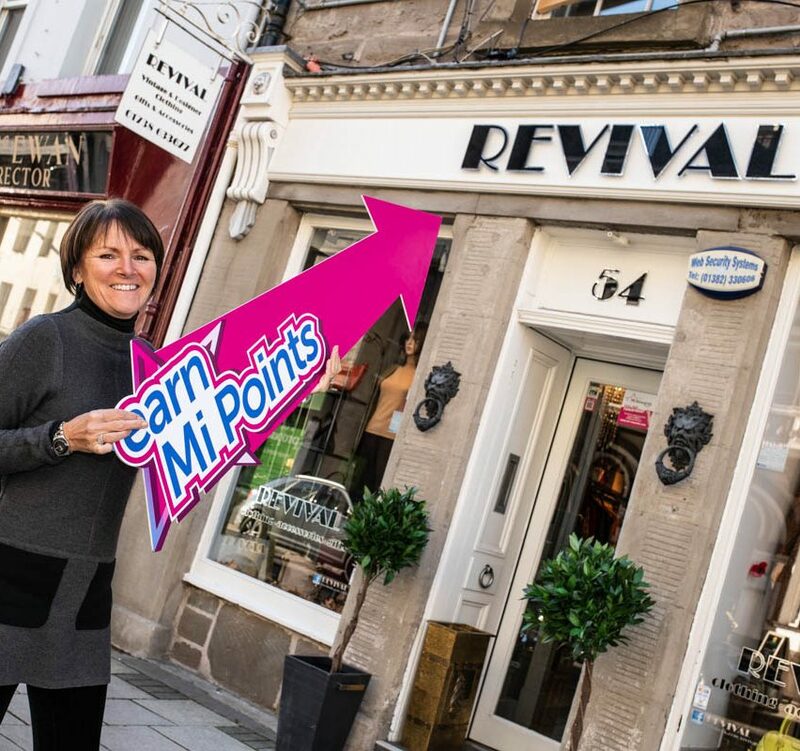 Offers and promotions like this come along fairly often for Mi Rewards members. There are also regular competitions with prizes only open to Mi Rewards members. 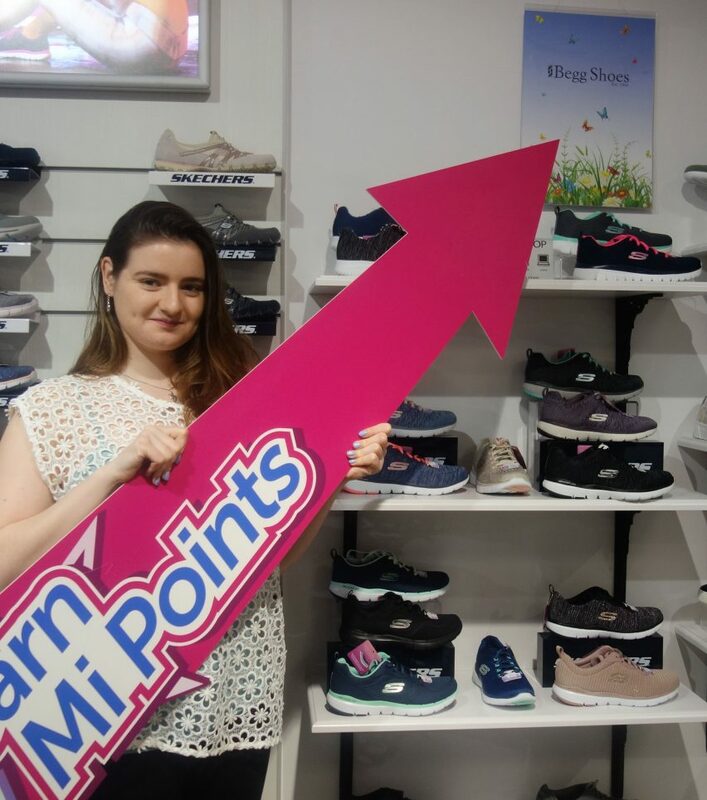 You can get access to these sorts of promotions simply by signing up to be a Mi Rewards member. It's free and easy to join, click here to find out more (and sign up). Once you're fully registered you'll qualify for any new rewards and competition entries that are made available.